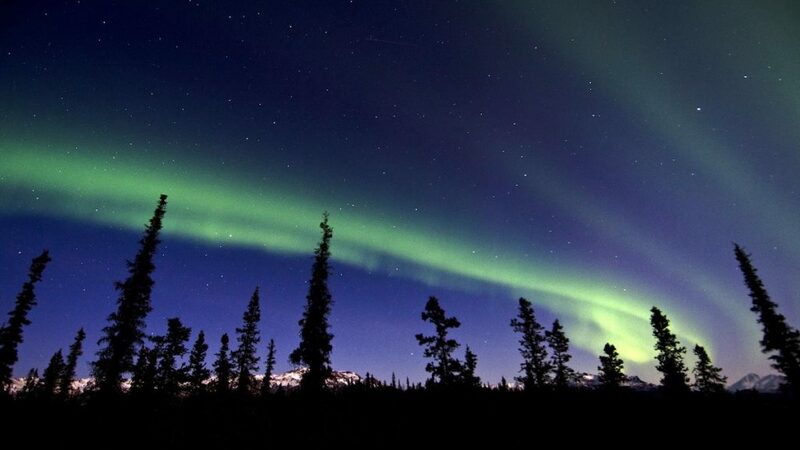 Is your group looking for a way to see the aurora in Fairbanks, Alaska? Need something larger than a van but more comfortable than a school bus? 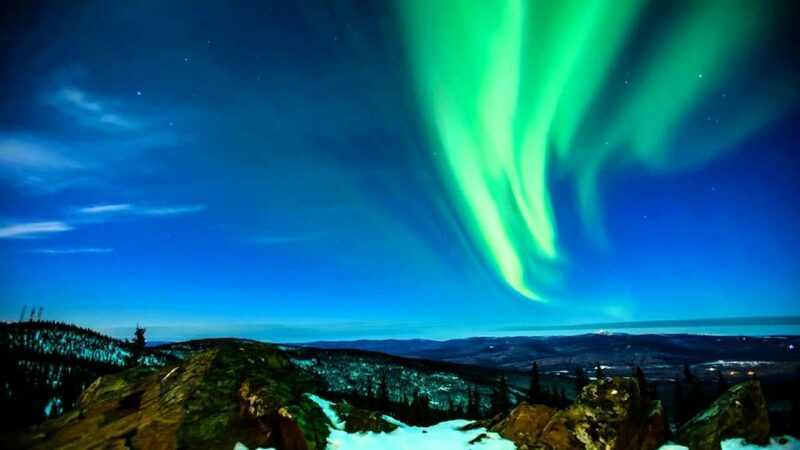 Airlink Shuttle and Tours can provide large groups with luxury motor coach transportation to excellent locations such as Cleary Summit to view the aurora borealis. 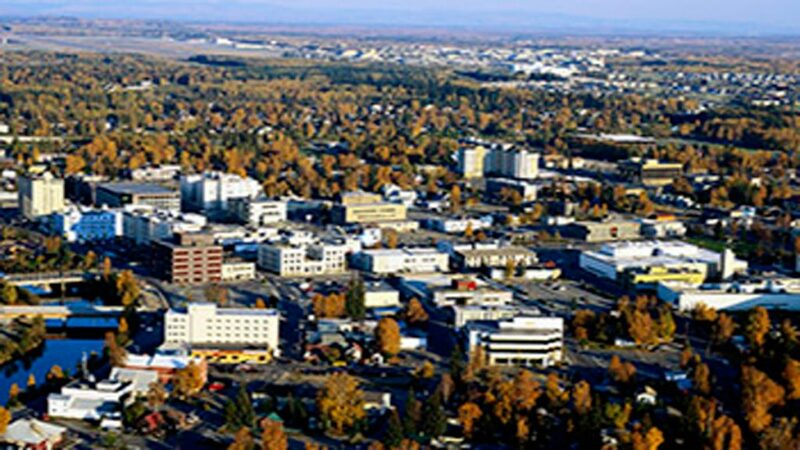 Already have reservations at an out-of-town resort such as Chena Hot Springs but still need to get out there? Give us a call and our fleet of motor coaches, mini-buses and vans will get you on your way. Each climate-controlled luxury motor coach can comfortable seat between 47 and 60 people. 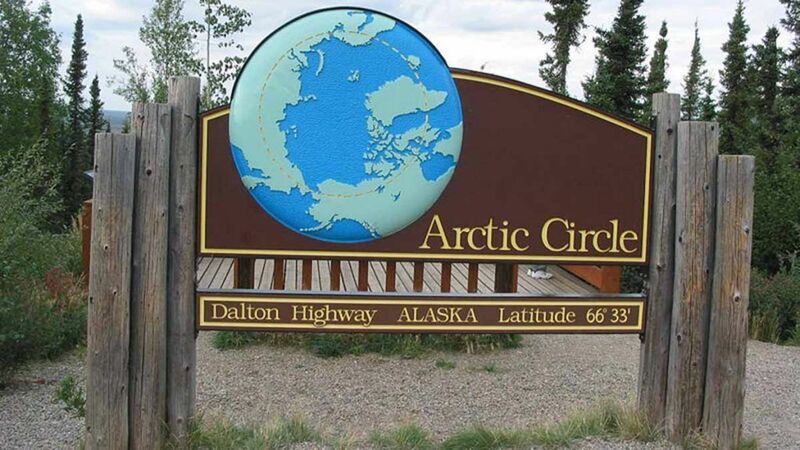 Our fleet of new, state-of-the-art motor coaches and can easily take groups of over 100 people around town or even up to the Arctic Circle. We have both hourly and daily rates for motor coach, mini-coach or van. We offer a 5% price protection. We will beat any competitor’s written quote (of equitable equipment) by 5%! 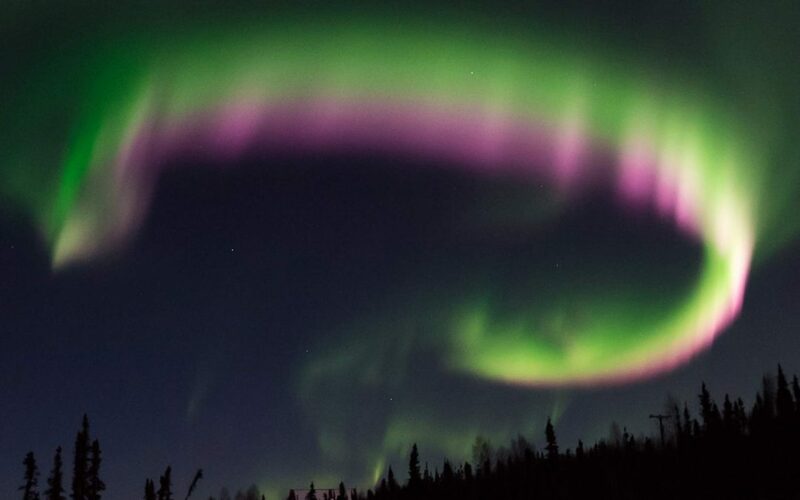 You’ve probably heard that Fairbanks is the best location in the world for viewing the Aurora Borealis. At the same time, it’s very difficult to see the Northern Lights from inside the Fairbanks city limits. 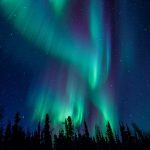 There are several locations outside of town preferred by locals during the aurora season and we can take you to any of them. 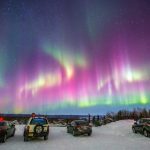 Perhaps the best place in Interior Alaska to view the Aurora is just 20 miles Northeast of Fairbanks on the Steese Highway. Cleary Summit is a small residential area with minimal ambient lighting and a unobstructed view of the northern horizon. There is a year-round pullout maintained by the Department of Transportation. There’s enough room here for our motor coaches and your group can stretch your legs or setup your tripod to photograph the Northern Lights. 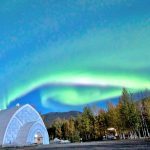 There are two aurora lodges at Cleary Summit: the Aurora Borealis Lodge and Skiland. The resort only provide limited transportation options for guests without vehicles. Give Airlink Shuttle and Tours a call and we can transport your group to and from either or these resorts by van or bus. A trip to Chena Hot Springs in the winter is like hitting two birds with one stone. You can soak in the invigorating waters of one of the most unique hot springs in America and simply look up to see amazing auroral displays. 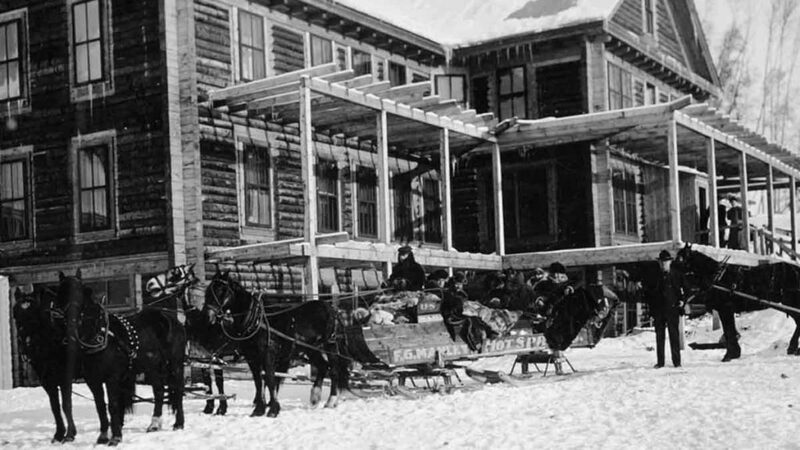 The Hot Springs is located 60 miles Northeast of Fairbanks. They have overnight accommodations or you can soak for a couple hours and then come back to Fairbanks. Chena Hot Springs provides limited van shuttle service so larger groups can save money by contacting Airlink Shuttle and Tours for quotes on mini-coach and motor coach. The Chena Hot Springs Road is quite busy and often slick and icy during the winter. Sit back and relax as Airlink’s experienced drivers carefully transport you do and from this one-of-a-kind resort. Another ideal mountain peak near Fairbanks is Murphy Dome. This residential area is a bit closer to town and not far from Airlink’s dispatch. The flat, wide open dome at the top is the perfect place to view the aurora from any direction and also setup film or photography equipment to capture the magical moments. This location has been increasing in popularity with tourist and locals in recent years. We can take small groups up in vans or larger groups in the buses. We also offer overnight van tours to Murphy Dome. Our expert guides can take you on an aurora chasing adventure.